Tour the lamination shop, see how the boats are wired and plumbed, tour our new AT-395 hull #6 as she is being finished. See several boats on the dock, open for your inspection. American Tugs are now sold factory direct to the west coast. 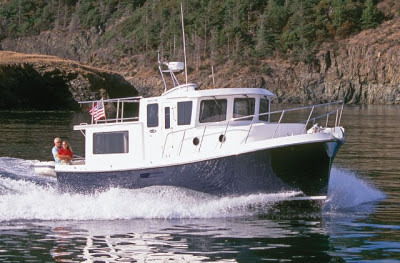 Full information on these boats can be found at http://americantugsandtrawlers.com/. We look forward to seeing you on Saturday, February 16th.